True artists in the field of dial conservation are few and far between, and when encountered should be raised at least to the level of the horological deity. This essay not only showcases the work of such an artist, but also reveals that patience and research can lead to the unearthing of a major find! The story begins with an encounter with a calibre 503 solid gold Seamaster sporting a stepped/guilloche pie pan dial and has a fairytale ending. My constellation font "Y" is offset MOY test. Do you think redone or original? It looks within the known variations of MOY and so may be okay, but I would need to see a close-up of the whole dial before confirming. Please confirm off-set font "Y" whole my two dial original from factory or redone? This dial looks fine to me. The Y is within known variations. Do you have only pie-pan dial dog lugs & arrow head picture and edges. I suspect is a real deal. I was the administrator of the constellation in Thailand.I would like picture for member to view. I have pictures of two pie pans with arrowhead markers in case 14902 from my collection. I have also seen verified examples in case 14900, in both cases the "officially certified" lettering is not present. I have also seen arrowhead pie pans in earlier production 167.005. I have sent one of your members a pic and hopefully he will share it. What are the code of ZJ and MU? ZJ is a mark for the Swiss dial maker ZJ Fluckinger and is usually stamped on the rear of the dial. MU I'm not sure about. 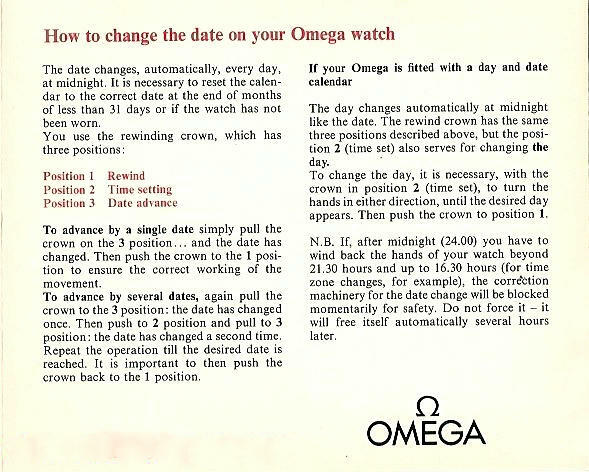 Is it on the rear of an Omega dial? MU is a marker rear of the pie-pan constellation dial. I have seen MU on occasions always on non precious metal dials. Looking at the other markings on the back of the dial MU will be the makers mark, but I do not know who is stands for. 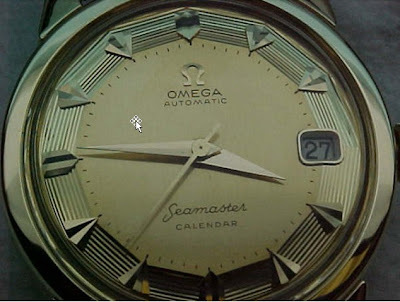 On precious metal dials it is easy to determine who made the dial, because each maker has been allotted a code, but on non-precious metal dials I do not know of a specific record keeping or code allocation system.